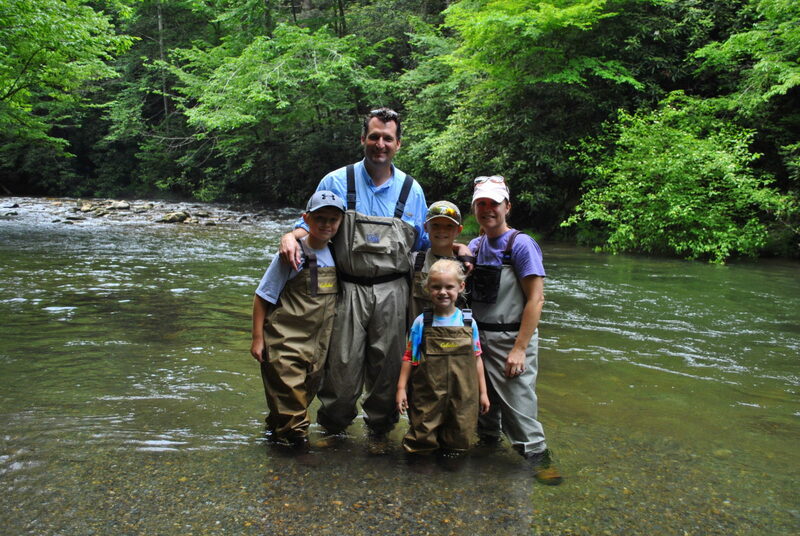 Fly Fishing Guides and Trips near Gatlinburg, Pigeon Forge and Sevierville Tennessee in the Great Smoky Mountains. 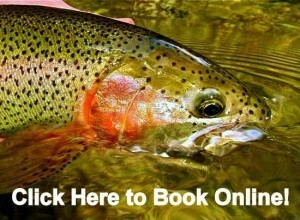 We offer some the best fly fishing opportunities to be found in Tennessee. The Great Smoky Mountains National Park offers literally thousands of miles of rivers and creeks in which to fly fish. 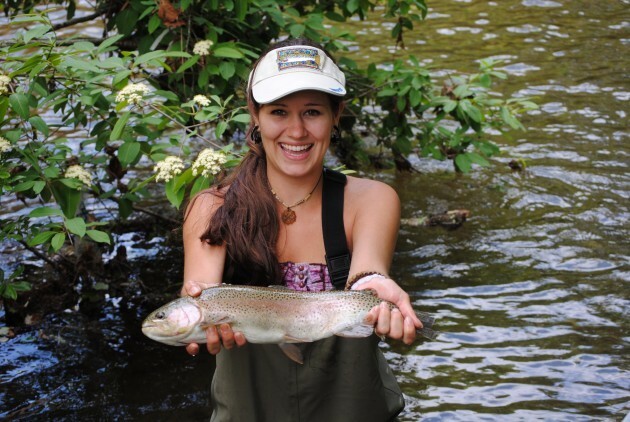 Catch Rainbow, Brown and Brook Trout in the beautiful mountain streams. See a side of the Smokies most will never see. Fly Fishing is fun, exciting, and very easy to learn, especially with our experienced guides at Fly Fishing the Smokies showing you the ropes! Come see why we are the Best Outfitter and Guides in the Smoky Mountains! Looking for adventure for the whole family? Why not surround them with the wonders of the Smoky Mountains near Gatlinburg and Pigeon Forge and take them Fly Fishing? 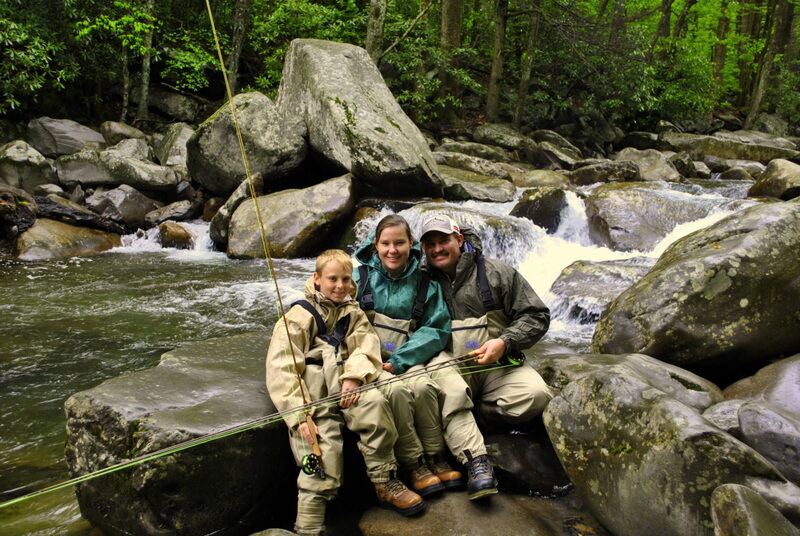 Learning to fly fish is a great way to spend some quality time outdoors with the entire family! 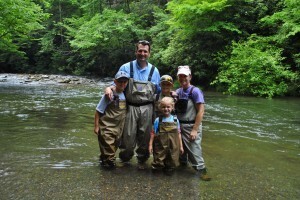 Fly Fishing the Smokies not only guides and teaches beginners, families, and children to fly fish. We also guide experienced anglers to some of the most epic fly fishing destinations in the Smoky Mountains in Tennessee. The Smoky Mountains offer a wide array of water to fly fish. Streams range anywhere from very mild mannered perfectly suitable for children, to the most rugged and challenging water east of the Rocky Mountains. So if adventure and a challenge are what you’re after, we have that too! Pigeon Forge and Sevierville offer some great fishing for Smallmouth Bass during the Summer. 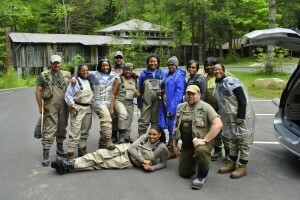 Fly Fishing the Smokies guides offer both fly fishing and spin fishing Wade Trips on the Pigeon River. 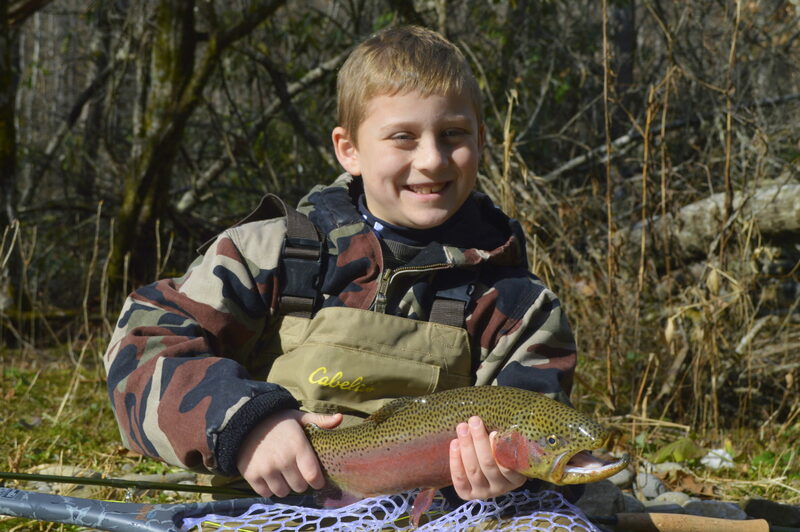 We pride ourselves on being one of very few Fly Fishing Outfitters in the country who teach children to fly fish. Being fathers ourselves helps a lot with teaching children to fly fish. We understand short attention spans and tangled lines! We also understand that adult sized gear doesn't always fit the smaller hands of children. We have rods, and waders perfectly sized for little hands and feet. 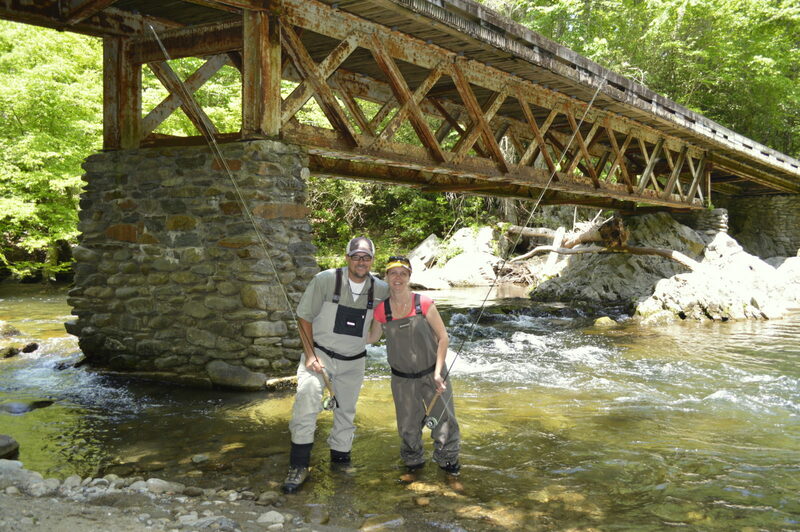 Fly Fishing the Smokies offers Half Day, and Full Day Wade Trips in the Gatlinburg, Pigeon Forge, Sevierville, and Townsend Tennessee area. We can easily handle large Church Groups, Business Team builders, and Bachelor parties. Your adventure in the Smoky Mountains starts here!